Although it’s been quiet from me, your CSA board has been hard at work for our membership. The new and improved CSA website is now up and running. A lot of people helped but especially members Ken Duckert and Ric Speed, who have hours and hours of volunteer time invested. Please check out the entire site. You are sure to be very pleased. As with anything new, there may be a snag here and there so please let us know. We want it to be clear and as perfect as we can. The call for artists is out for CAST. The deadline is mid-January. Please check the website for the downloadable form. Although we had hoped to have things ready for you to sign up and pay on line, that is still being worked on and will eventually be a dream come true, so for the moment we are doing CAST sign-ups the old-fashioned way: snail mail and checks. The Old Church Fine Art Show in October was a new CSA sponsored activity, working with the Corrales Historical Society (CHS). The new jurying system made it so much easier to participate, eliminating the arduous system of the past (taking in your framed work during a one-day 4-hour window). 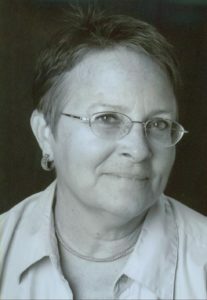 CSA member Cheryl Cathcart was instrumental in setting up the online jurying. And we had a strong showing of members to hang the show; special thanks to Sandy Corless who got us started. The Winter Craft Show was another CSA/CHS joint effort. Held November 30 through December 2, we were fortunate to add the historic Casa San Ysidro to the venue, thanks to Aaron Gardiner, site manager, and the Albuquerque Museum. There were a number of snags but these will be addressed and, hopefully, more CSA members will take part next year. Coming up, Sue Ellen Rael and Sharon Rutherford are setting up a series of monthly get-togethers. These will be informal sharing occasions ranging from art business topics to media-based chat groups. That schedule will be added to our calendar and, hopefully, one or two of them might interest you. I wish you all a healthy creative 2019 with lots of amazing wonders coming out of your studios… I hope to see you at the upcoming mixer in January.